The Prime Minister wanted countries to "immediately" join the automatic exchange of information. Prime Minister Narendra Modi stressed on cooperation among G20 countries on issues related to the global economy, trade tensions, crude oil prices and terrorism and fugitive economic offenders, India's G20 sherpa has said. Addressing the media, Shaktikanta Das on Saturday said the current challenges being faced by the global economy, especially emerging economy space, were highlighted by Modi at the G20 Summit. "He highlighted the threat of increasing financial vulnerabilities, mainly arising from monetary policies of advanced economies and oil price volatility," Das said. "The Prime Minister also emphasized on unsynchronized policies of advanced economies and the uneven pace of revival of economies of various countries." 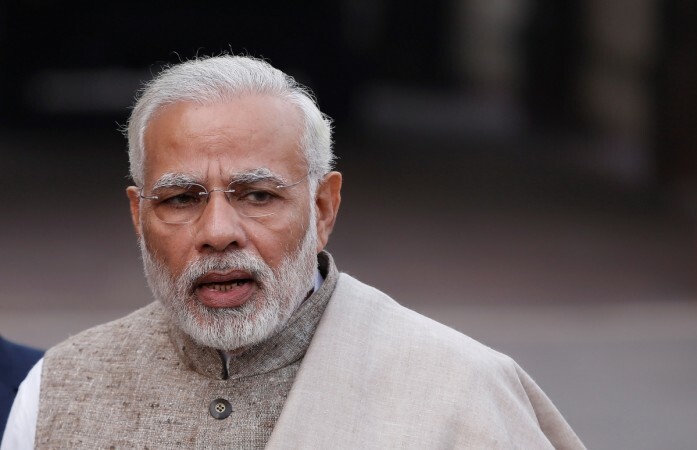 Modi stressed on escalating trade tensions and its resultant and collateral damages it caused to the least developed countries and other emerging economies, he added. As regards the way forward, Modi emphasised on the need for pro-active and reformed multilateralism. "He (Modi) talked about various multilateral institutions and stressed there is need to adopt policies of pro-active and reformed multilateralism, basically to activate various multilateral channels, whether it is the IMF (International Monetary Fund), the FATF (Financial Action Task Force) or other multilateral channels and, of course, the UN and last but not the least, G20," Das said. Modi highlighted that any instability in the crude oil prices put big pressure on the budgetary resources and domestic finances of the emerging economies. He also appealed for reforming the World Trade Organisation (WTO) and sought dialogue on trade and service in promoting global value chain in the agricultural sector, Das said. "He highlighted the efforts taken in regards to harnessing transformative technologies, that is robotics, data analytic, education technology, Fin-tech (Financial Technology). He talked about the democratization of the technologies at the international level for global good." Presenting a nine-point action programme against fugitive economic offenders at the second session of the G20 Summit on Friday, Modi said there was a need for a joint effort by member countries to form a mechanism that denies entry and safe havens to all fugitive economic offenders. India is pressing for the extradition of high-profile fugitive economic offenders including Nirav Modi, Mehul Choksi and Vijay Mallya among others. The Prime Minister stressed it was time to fully implement and operationalise various aspects of 11-point agenda against terrorism adopted in Hamburg in 2017. He also called upon countries to join the international solar alliance and spoke about global coalition on disaster resilient infrastructure, Das said. Modi said India will host the G20 Summit in 2022, the year New Delhi celebrates its 75th Independence Day.